If you’d like more information on our Honda dealership or our new vehicle inventory, feel free to contact us. Our friendly staff will answer your questions and give you the latest information on our vehicle incentives, parts specials, and more. 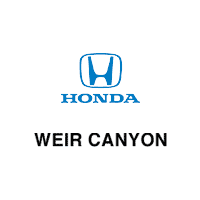 Visit Weir Canyon Honda in Anaheim today to meet us in person!